This is great for stargazers! I was on a ferry to Peaks Island, Maine this summer and pulled out my iPhone and opened this app. As I stood in the middle of the boat’s upper deck, rotating around looking at all of the beautiful illustrations superimposed on the stars of the screen, it was magical. I was pointing out Mars and things to my family when other people on the boat started looking on, saying “wooooow”, and asking questions. It is really helpful and I like learning from this app. Open and point. Doesn’t get much easier than that. The background music is nice too. I never write reviews for apps, but this app is so amazing I couldn’t help myself. It is beautiful, insanely functional, and super educational. It’s the best three dollars I’ve ever spent on an app. I literally could not recommend this app more. I’m blown away- I LOVE IT. Extremely well presented. Loads of information. More than just the stars and planets. I highly recommend it. I love this game so much it is so cool to see the stars. I enjoy looking at the night sky. 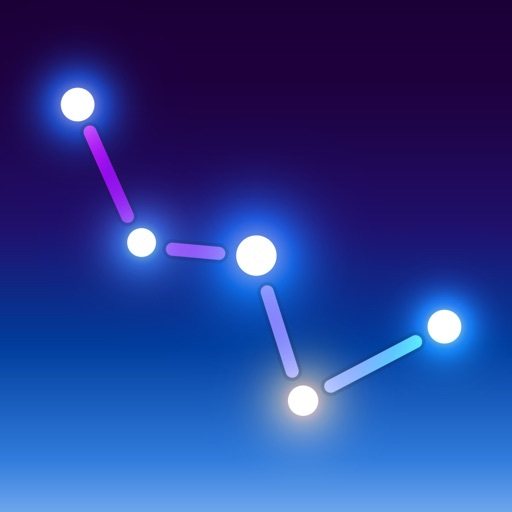 Star Guide helps me identify the constellations and planets. I was charged $2.99 without any authorization. Chasing automatic payments on my credit card that I uploaded into the iPhone is impossible. I tried to ‘report a problem’ and got the simple answer that this charge is not eligible for a refund. Surprise! I wish there was more explinatation.